"the lilly girl is always full of surprises. she lives everyday like it's a celebration. never has a dull moment, and makes every hour a happy hour." Yesterday was a tragic day for every sorority girl, jet setter, country clubber, & tropical trendsetter alike. 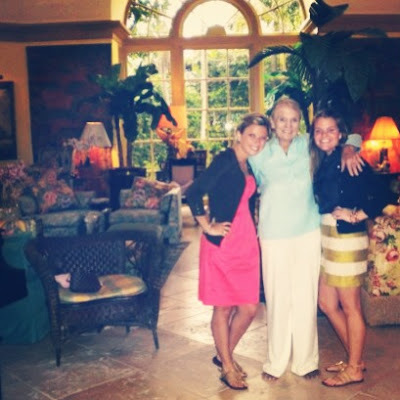 The sweet sweet Lilly Pulitzer passed away peacefully in her beautiful Palm Beach home, surrounded by her family and close friends. The preppy Pulitzer was known for her pink & green prints, colorful shift dresses, and creating the signature socialite uniform...even if it all began as an accident. Lilly opened her own juice stand in the orange state back in the late 50's, and needed a dress that would somehow disguise and camouflage all of the fruit spills. This is the moment when the vividly flowered patterns were first born, otherwise known as "Lillys." I have always been a huge fan of the Lilly brand :: and I am reminded of this every time I sip from her coffee mug, doodle in the large agenda, or remember that sentimental moment when I wore a signature Lilly dress to my college graduation. I truly believe that Lilly Pulitzer will never go out of style.